Find a new Ram 1500 at your local Dexter, MO Ram dealership. 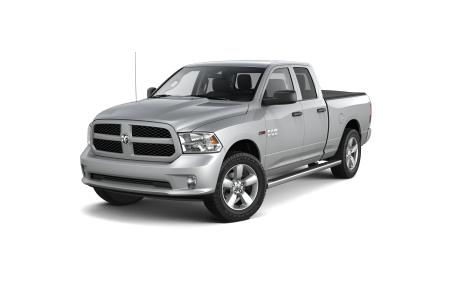 Overview Located in Dexter, Missouri, Harry Blackwell Dodge of Dexter is a leading full-service dealership with a wide selection of new and pre-owned trucks, including the rugged Ram 1500. Looking for the vehicle that has it all? In this powerhouse, you'll find best-in-class fuel economy without compromising on roaring horsepower. The Ram 1500's bold exterior is powerful, athletic, and is sure to draw stares - the good kind! Step inside its spacious interior, and you'll enjoy a leather-wrapped steering wheel plus an array of impressive technology options for any and all of your feature needs. To explore all this and more in the comfortable, powerful, and intelligent Ram 1500, visit Harry Blackwell Dodge of Dexter, your Dexter, MO Dodge dealership, today! Why Us? At Harry Blackwell, your complete satisfaction is our #1 priority. And while others claim it, we'd like to prove it to you. Our handpicked staff has straight answers to all your questions, and we specialize in helping our customers find the right vehicle for their budget. Visit us today for an exciting test drive at Harry Blackwell Dodge of Dexter in Dexter, Missouri. If you'd like to ensure that your vehicle is always looking and running its very best, take it to the professionals at Harry Blackwell Dodge of Dexter parts and service center. Click on the button below to schedule your next service appointment online, or simply come by and visit us today.